THE SOCIETY OF St Vincent de Paul (SVP) is concerned that a moneylending company has now started offering people vouchers instead of cash. Provident Personal Credit (PPC), Ireland’s largest regulated moneylender, has added One4all gift vouchers “as an alternative to cash”, however, similar high-interest rates apply. The SVP say the vouchers limit choice to the customer as they cannot be used in all shops and have described the “selling tactic as unsavoury”. The all-in cost of the vouchers for a 50-week loan period is €50 for every €100 borrowed, 143.1 per cent APR. While, the all-in cost for a cash loan over 52 weeks is €56 for every €100 borrowed, 157.3 per cent APR. 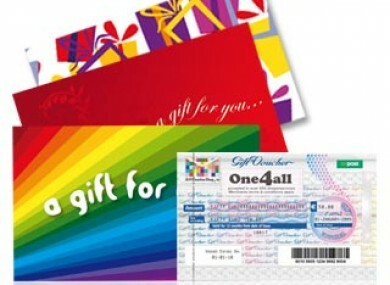 “One4all gift vouchers is an arm of An Post. At a time of real financial pressure for many, we do not believe An Post should be involved in such an unsavoury arrangement with a moneylender,” McCafferty added. The SVP have also warned about a potential money lending crisis in Ireland and called on the Central Bank to publish baseline data “to take money lending out of the shadows”. PPC in the UK came under criticism last year after a BBC Panorama investigation found that it had loaned thousands of pounds to a women with a mental illness. Provident said in a statement at the time it makes every effort to ensure borrowers are capable of making informed decisions. However, the Citizens Advice Bureau in the UK accused the firm of lacking social responsibility. Email “SVP concerned over moneylender issuing vouchers instead of cash”. Feedback on “SVP concerned over moneylender issuing vouchers instead of cash”.